On 2 February 2011, I posted a listing of the Top Ten most-viewed ShukerNature posts of all time - which attracted a considerable number of views itself, and also threw up some surprising results. Not least of these was the extraordinary discovery that if a ShukerNature post happened to feature a blue-coloured animal, it stood a much greater than average chance of attracting an exceptionally large number of views - but why? I still have no satisfactory answer to that question - but what I do have is the latest listing of the Top Ten most-viewed ShukerNature posts, which is presented below. And as you will see, even in just a month, there have been some interesting changes, not least of which is the debut very near to the top of the chart of a post that was only uploaded during the past month, and yet which has proven so popular that it has effortlessly exceeded the viewing counts of almost all of the other one hundred-plus posts that I have uploaded here during the past two years since my ShukerNature blog was launched. But again, I have absolutely no idea why this particular post's subject has proven so inordinately popular. Consequently, please cast your eyes over this list, and see what conclusions you can draw. 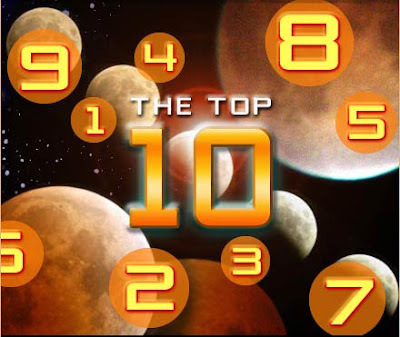 The positions occupied by the Top Ten entries from the previous month's list are presented in red. If nothing else, archangel feathers have certainly attracted very appreciable attention, and the blue connection is still very much alive - so make of that what you will! Hi Karl, I have tried getting the message to you a couple of different ways but I had not heard back. I recently posted a blog on Sea Elephants and noting a Cryptid I had not heard of before, The Gambian Sea Elephant. My frank response was that somebody had not read one of your books very carefully and had confused Gambo with Trunko. Did you know of the situation and did you have any opinion on that? Fo my own blog I notice there is a very strong interest in Giant Anacondas. And Toledo, Ohio- but I know why THAT is. Unfortunately not many mention the source for their "Gambian Sea Elephant". Maybe the source for this confusion is this entry in Chad Arment's cryptid checklist for Africa?